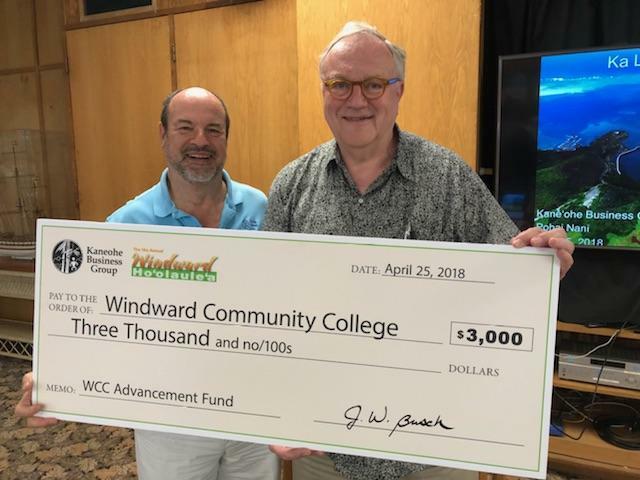 The Kaneohe Business Group was happy to celebrate the donation of $3000 from the proceeds of the recent Windward Oahu Ho’olaulea to Windward Community College and the Advancement Fund. The chancellor of WWC, Doug Dykstra, was there to accept to the check and spoke about the fund and it’s goals. Then, the KBG group was inspired by another fascinating discussion by our latest speaker of the month. 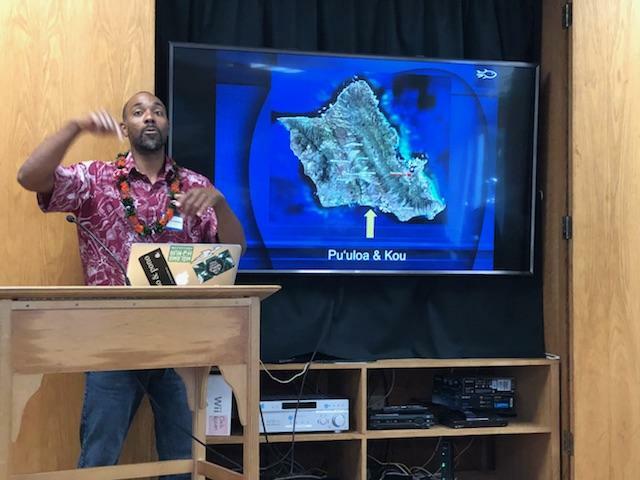 Thank you to Keli’i Kotubetey, Assistant Executive Director of Pae Pae o He’eia, the fish pond by H’eeia Boat Harbor. Paepae o Heʻeia is the non-profit organization committed to the restoration and revitalization of the 800-year old Heʻeia Fishpond located in Heʻeia, Koʻolaupoko on the island of Oʻahu. 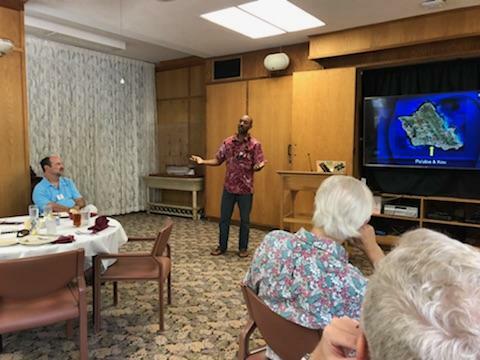 We discussed a variety of topics about the island’s existing and renovated fishponds and what is going on at the He’eia Fishpond location and it’s current renovation status and goals they intend to achieve and how to get involved.